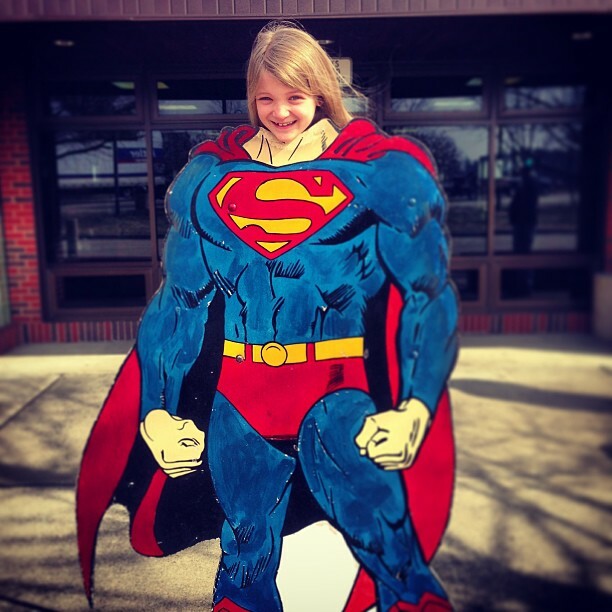 Kate as Superman in Metropolis, Illinois. We’re taking a little break on the way to our “Mystery Vacation” with the kids for spring break. They have no idea where we are going! Home » Blog » Family » Kate as Superman in Metropolis, Illinois. We’re taking a little break on the way to our “Mystery Vacation” with the kids for spring break. They have no idea where we are going!